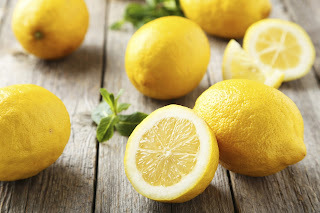 The Truth Behind Lemon Water - Does Lemon Water Hurt Your Teeth? Does Lemon Water Hurt Your Teeth? Many nutrition focused professionals are known to recommend drinking a large glass of cold lemon water to start off your day. Although this popular drink has become the new norm, it doesn’t necessarily mean it’s all beneficial. In fact, recent studies have actually released information that could be crucial to people’s oral health. As you may be aware, most citrus foods such as lemons and oranges, have high acids that can actually do more damage than benefit your teeth. This new discovery is critical to the dental sustainability of many people that enjoy a glass of lemon water in the mornings or for lunch. The acid found in the citrus food could weaken your enamel. Once your enamel becomes severely damage, it’s difficult, in fact mostly impossible to get it back. What are the Signs of Enamel Erosion? Enamel is a sort of substance in the outer layer of your teeth, which helps protect your teeth. When dentists refer to tooth decay, it usually means the patient has experienced enamel erosion, which leaves the teeth unprotected and prone to decay. Tooth Discoloration – Enamel keeps your teeth’s white appearance. Once it wears away, the teeth may turn a yellow tint because of dentin. Dentin is a substance that forms the inside of your teeth, the yellow tint is usually a sign that the substance is showing through. Transparent Edges – If the edges of your teeth are becoming transparent, this is a sure sign that they enamel has become thin and might not be as strong as it should be. Tooth Sensitivity – The dentin is exposed to the nerve of your tooth. Therefore, if the enamel is being eroded, the inside of the tooth is exposed to temperatures that make eating or drinking cold things uncomfortable. But wait, don’t abandon lemon water just yet! Although we do not recommend drinking lemon water so often, it does have a lot of other health benefits. Enjoying a glass of cold lemon water once in awhile won’t hurt you. In fact, we’ve gathered a list of tips to follow that will help you diminish the possibilities of experiencing enamel erosion while enjoying a refreshing and flavorful drink. If you do decide to have a cup of lemon water, we highly suggest it’d be a cold glass of lemon water instead of warm. The reason to this is because it will reduce the amount of available acid that can touch your teeth. Avoid brushing your teeth immediately after drinking lemon water. This will in fact wear away the enamel even more as the citric acid is still fresh in your teeth. We recommend a quick rinse with water and proceed with brushing your teeth if needed. We highly encourage that you drink lemon water carefully. If you do decide to have a glass of cold lemon water, consider using a straw. Using a straw will avoid any direct contact from the citric acid on your teeth. Whether you decide to follow our suggestions and/or decide to drop lemon water altogether, it’s totally up to you. If you would like to consult our dentist with your consumption any particular food in fear of experiencing enamel erosion, contact us at (949) 760-0363.